Riverside Heating & Air Conditioning LLC is proud to serve the Augusta community!  About Augusta, GA - Happy to be your hometown Heating & Air Conditioning Contractor! In the state of Georgia, the city of Augusta lies in the Richmond County and is situated on the coastal plain of the Savannah River. The city lies on a total area of 306.5 square miles of which 4.3 square miles is water. Established in 1736, the city now has a population of 198,884 people. The history of the area now known as Augusta is rich with the culture of indigenous tribes that lived on the land and relied upon the river to be a source of food. The city is most famous for hosting the international Masters Tournament, a golf championship, every spring. The event is held at the Augusta National Golf Club and lures in spectators from all across the country. This top-tier golfing championship has seen the likes of famous players such as Jack Nicklaus, Arnold Palmer and of course, Tiger Woods. The city of Augusta has much to offer visitors in terms of recreational facilities and beautiful scenery in its natural sites. A walk along the Savannah River is on every tourist’s list for when they make a stop in Augusta. Surrounded by lush gardens, there’s even a playground, which makes it a relaxing place for the entire family. Museums and art galleries are a precious asset in every city and Augusta is no exception. The Augusta Museum of History has exhibits on two levels, which are focused on important events and significant personalities that are vital to the heritage of the city. You can visit the Morris Museum of Art to surround yourself with visual depictions of historical scenes which makes for a pleasant learning experience. The city’s fascinating sites aren’t limited to cultural centers and museums. The city holds gems of a theatre and orchestra which will leave you entertained and at the edge of your seats.